The final day of the British Showjumping National Championships, held at the NAEC Stoneleigh, got off to a sunny start. The Nupafeed National Discovery Championship opened the action in Championship Arena 1. With 69 riders forwards, Emma Jo Slater from Buckinghamshire who took the win. 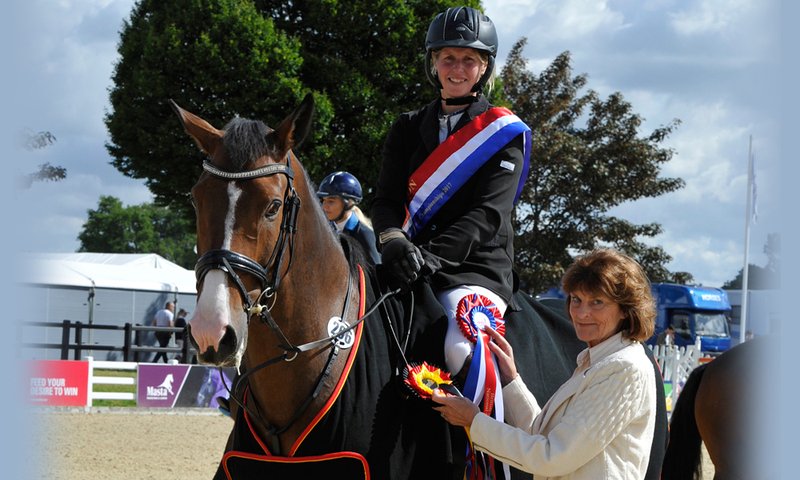 A great show for Emma who also won the KBIS Insurance Senior British Novice winner the previous day. She’s also a familiar name to us, having won the Nupafeed Senior Discovery in 2015 also! Riding eight year old Kings of Leon owned by Kim Barzilay, Emma was able to keep her lead from the beginning to take her second win of the six day show. Kings of Leon is by Argento, John Whitaker’s prolific stallion who has featured on many Nupafeed adverts over the last few years! Congratulations to Emma Jo and all connections!